The Roundabout Tote is designed for dogs up to 16 pounds. Vacation season is upon us, which means some pets are flying with their owners to destinations near and far. If this sounds like you and your pet, let them travel in comfort and style with products from the Posh Puppy Boutique. Your first—and most vital—step is taking your pet to its veterinarian at least two weeks before going on a trip. Be sure your pet’s vaccinations are current. Have at least three paper copies: one that travels with your pet, one you keep with you and a third (and maybe having electronic copies where you have easy access to them) in your luggage. This ensures the least amount of problems. Also be sure your pet is healthy enough to withstand the rigors of travel in an airline hold that may be pressured at an elevation of 5,000 feet, which is the pressure setting for passenger cabins. In addition, check with your airline to ensure there are no sudden changes in its pets policy. That phrase, “subject to change without notice” can devastate your travel plans. If you are taking your pet on the plane with you, bring a muzzle, even if your pet is safely secured in a carrier. This eliminates barking issues and inquisitive fingers from young children being suddenly stuck within reach. 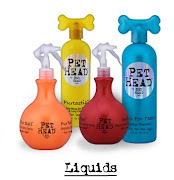 Also measure your pet’s container when fully loaded to ensure it fits in the space allotted. These first few carriers are designed for air travel by Pet Flys and Carriers. One perfect tote for people taking their pets onboard with them is the Roundabout Tote ($105), which comes in black, tan and red. Designed for dogs weighing 2-16 pounds, this pocket-less design includes a soft cuddle mat, sparkle bear key chain, safety chain, animal print scarf and small shuttle purse. The carrier weighs 1.5 pounds empty and its interior can be cleaned with disinfectant wipes. The Butterfly Carrier adds color, style and a side entrance flap. Our Butterfly Carrier ($145) comes in mini (up to 4 pounds), small (up to 11 pounds) and super (up to 16 pounds) sizes. It is approved for in cabin travel by most major airlines. It has two interchangeable handles, a peek-a-boo roll up flap, a stainless steel wire window, fur-lined removable bottom insert, blanket and fur-lined side entrance. It also buckles easily into a car for transport to and from the airport. The Zebra Bronze Dog Carrier can hold two tiny dogs. The Zebra Bronze Metallic Dog Carrier ($160) can hold up to two small dogs comfortably. The black faux leather features a metallic zebra design with three metal zippered windows and 12 air vents, two large snap pockets and a larger zippered pouch. Its interior has a safety chain and removable pad. Teafco carriers have removable padding on the bottom and sides. For a different design, consider a Teafco Aero-Pet Airline Approved Small Carrier ($175) or Large Carrier ($190). These carriers have removable waterproof padding on the bottom and sides, are ultra lightweight (3.5 pounds), have six dual layer mesh windows on all sides for ventilation and security, padded handles and exceed the Transportation Security Administration requirements. Color options for the smaller carriers include Kiwi Green, orange, Black and Blue. Large color choices include pink, blue, orange and black. These are just a few of our many pet carriers designed for air travel. 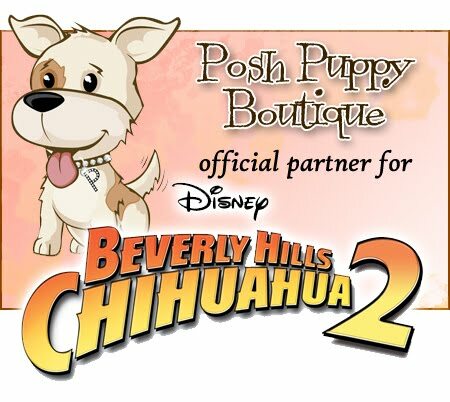 Find these and 15,000 other fashionable pet items at your one stop shop, the Posh Puppy Boutique. Call us at 888-837-5230 with any questions, including sizing questions. Get the latest news and find out first about super specials by signing up for our email alerts and following us on Facebook and Twitter.